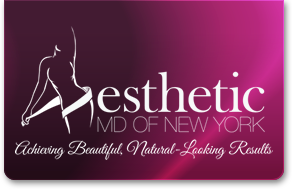 Welcome to Aesthetic MD of New York. We specialize in the practice of aesthetic medicine, face, body and skin rejuvenation and medically supervised weight loss. Dr. Ronit Adler, Aesthetic MD of New York’s founder, understands that looking and feeling your best is critical to overall self-esteem and total body wellness. Our goal is to work with you to help you achieve the skin, face or body that is the essence of you – only younger looking, healthier and more radiant. We can help you achieve beautiful, natural looking results using the latest, most technologically advanced treatments and procedures available. Trust your face and body to us. Call or come in today for a consultation and get started on the path to achieving the look you’ve always dreamed of.